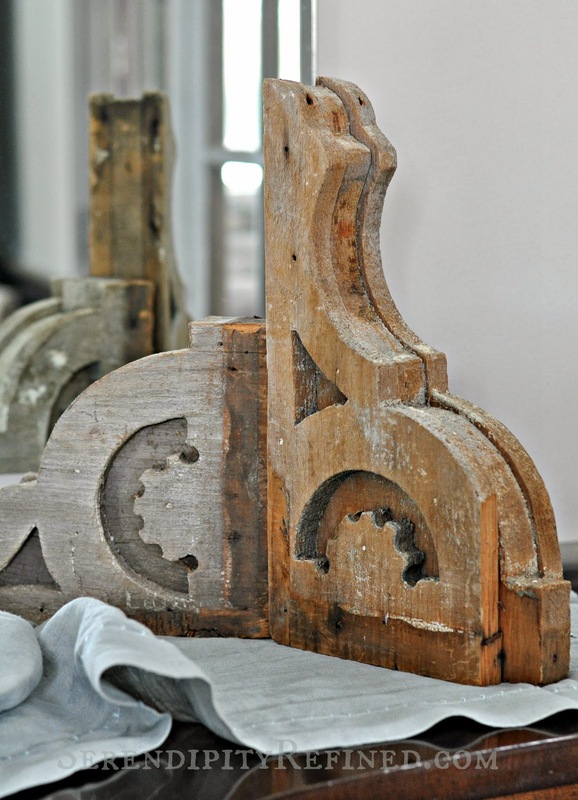 I'm practicing a little "simple repurposing: at the farmhouse today. 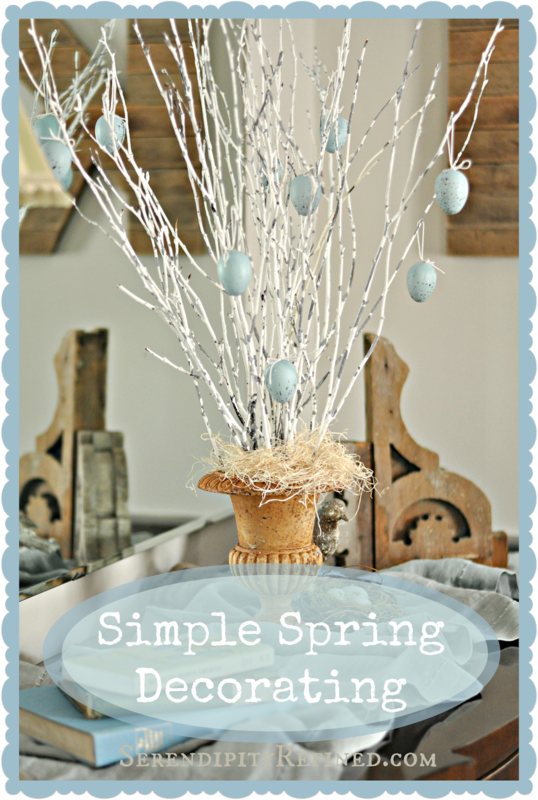 I made the world's easiest Spring Egg Tree out of the sticks that I used in my Valentine's day door decor. 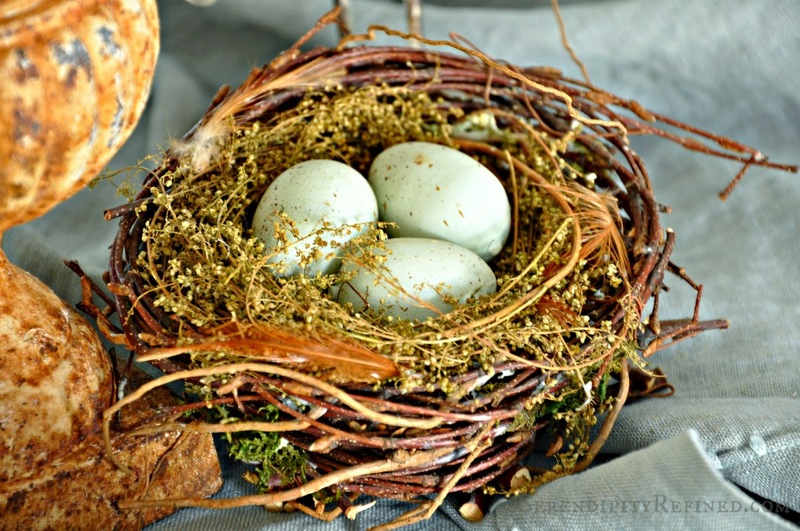 Having a little spring in the house is saving my sanity and you can DIY a little spring of your own if you've got a few sticks and faux eggs hanging around. First of all, HAPPY ALMOST MARCH! I've got a confession to make. I'm not a big fan of February. Oh sure, I love Valentine's day and celebrating the special people in my life but other than that, I've pretty much always felt that the very best thing about February is the fact that the month only has 28 days in it...other than leap years, of course. ...and did I mention, gray? By the time the end of February rolls around, I'm ready for sunshine and warmer temperatures...heck, I even find myself looking forward to the first spring rain....mainly because it washes the winter grime off of everything and I'm most certainly ready to do a little spring decorating! 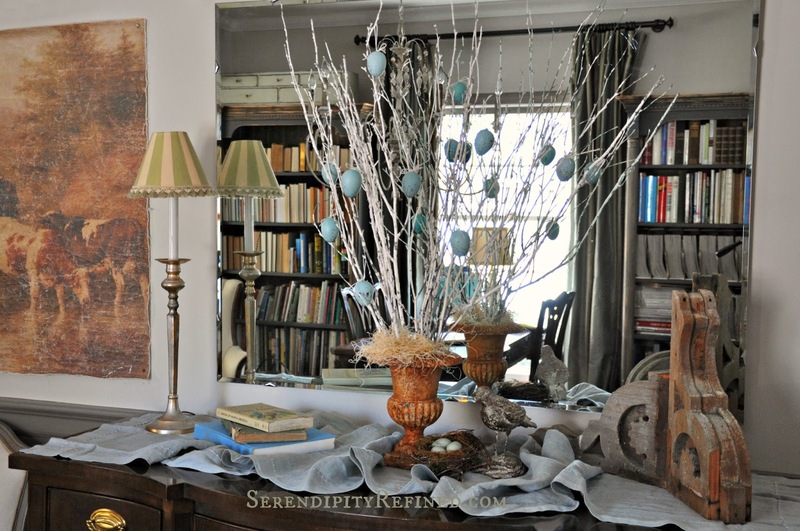 As with pretty much everything that I've done here at the French farmhouse in the last 6 months, my spring decor will be minimal and will be done using things that I already have on hand. 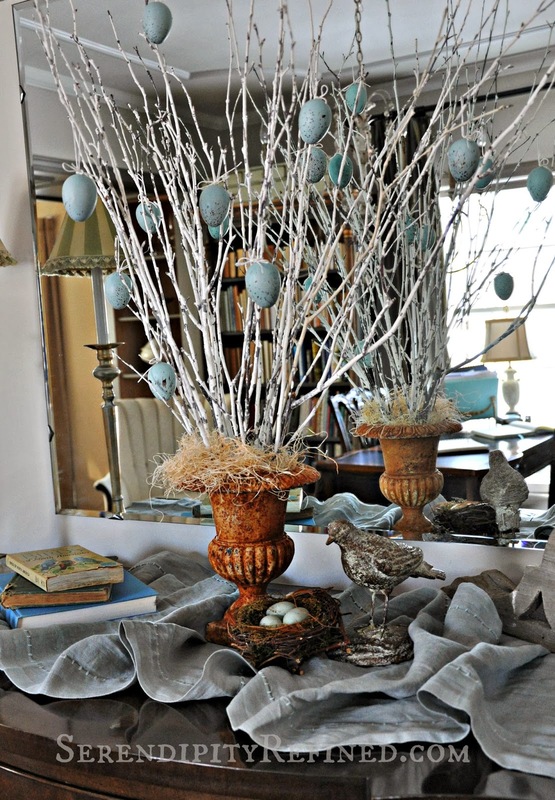 To make the sideboard decor, I found a crusty pair of brackets that I've been saving for a shelf or built in desk in the new house and bird's nest with turquoise eggs that's been around for a couple of years. 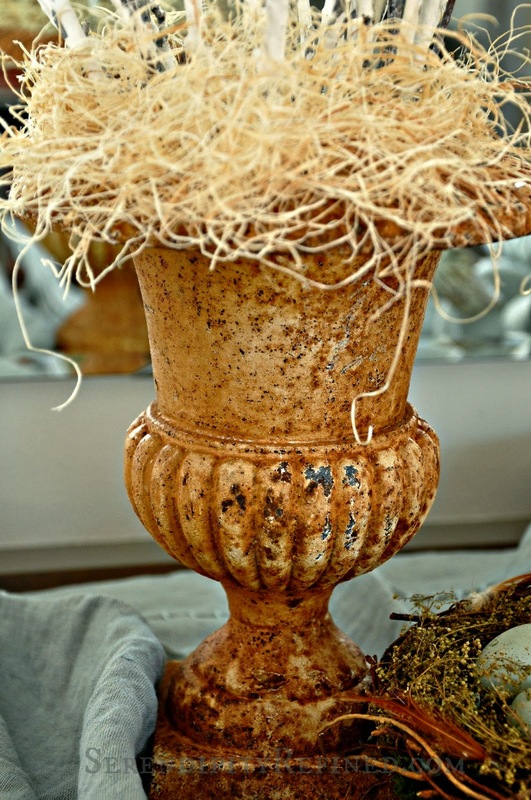 And this darling little rusty metal urn which was a gift from my friend Paulie, the scrap metal man. 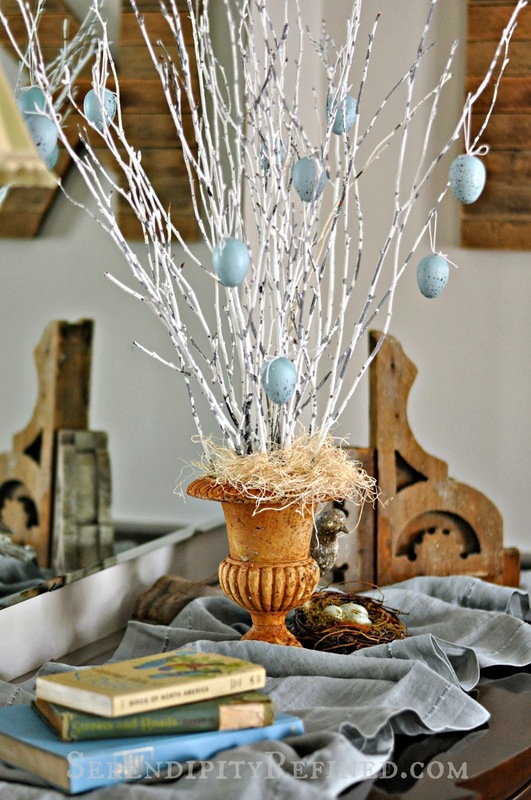 But the thing that I'm most excited about is that I re-used the white branches that were previously in the basket on the front door for Valentines day to make the world's easiest egg tree! To be truthful, the main reason that I reused them is because when I took down the Valentine's day decorations, the basket of sticks made it as far as the floor in the kitchen where they've been waiting to be taken to the basement storage over two weeks. I figured that if I used them, I could get them off of the floor and reap the added benefit of not having to go to the scary basement for at least another month. I stuck the twigs into the urn and held them in place with some excelsior. 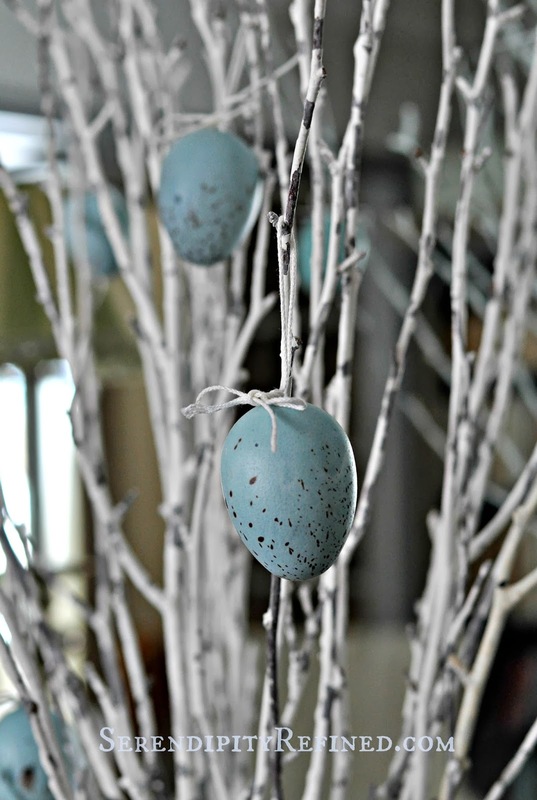 Then, I found some blue eggs at the craft store and simply tied them onto the branches with cotton twine. 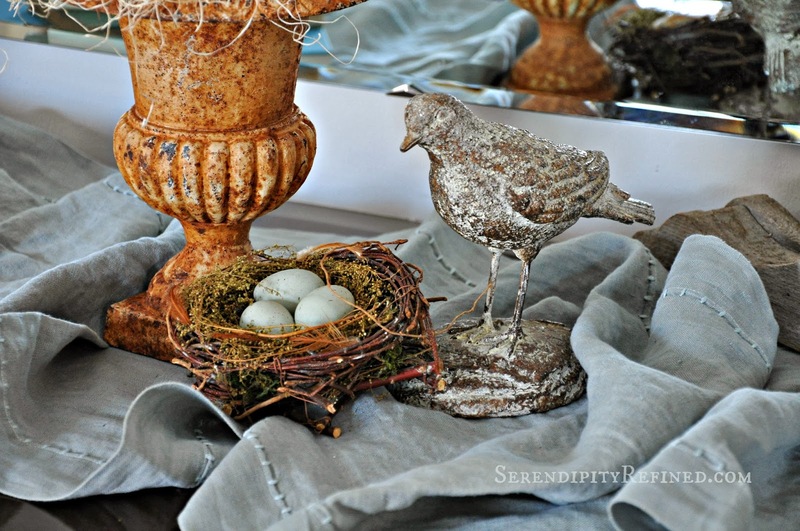 I had the robin statue and the pale turquoise linen runner at our last home. A few books (including my son's Beatrix Potter collection and a bird guide that belonged to my mother-in-law) finish the look. Simple.... and put together in under 15 minutes on Monday morning before work. 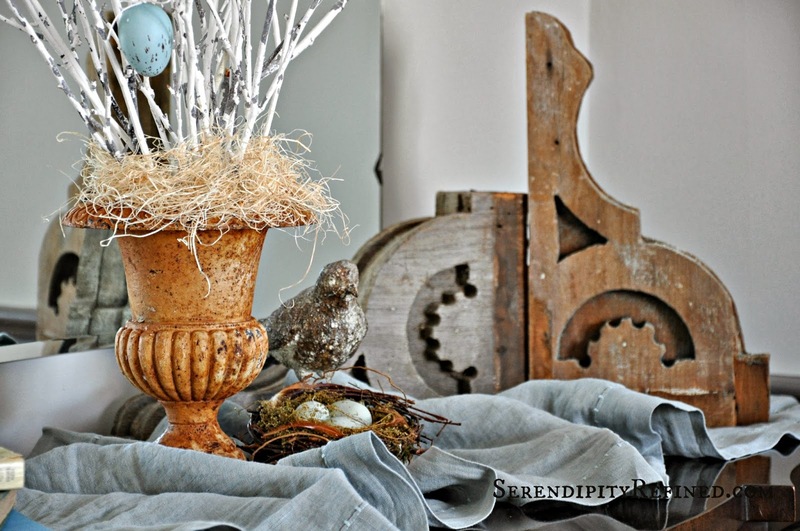 Just a hint of spring decorating to give me something to smile about...as the temperatures are again going below zero here today and there's snow in the forecast for five of the next seven days. It's because there's simple springtime decorating in my office that didn't cost a penny. ....and now I don't have to go there until summer (and maybe not even then...) I'm pretty sure that I can work these branches into something "red, white and blue"...stay tuned.